Rust-Oleum Universal All-Surface Paints is an advanced brush-applied version of the market leading Universal All Surface Paint, a topcoat and primer in one, designed for direct application. Stain blocking, particularly nicotine and tannin bleed. Rust-Oleum Universal All-Surface Paint (Brush) is an advanced brush-applied paint and primer in one, designed for direct application to many surfaces. For non-ferrous and galvanised metal, prime first with Universal Special Metals Primer. I have some white bedroom furniture which has gone very yellow. I think it's melamine. 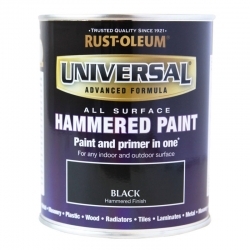 Is rustoleum universal suitable? Rust-Oleum Universal All-Surface Paint (Brush) will also eventually yellow over time, a water based product will stay whiter for longer. Best options would be 1 coat Zinsser B-I-N followed by 2 coats of Zinsser AllCoat Exterior (Water Based). 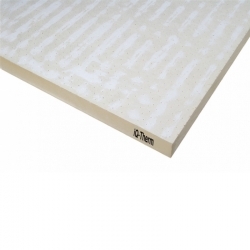 The B-I-N should stop any bleed through of the yellowing from the melamine and give good adhesion. Could you let me know is Universal all Surface paint suitable for bathroom tiles. Rust-Oleum Universal All-Surface Paint (Brush) can be used directly on wall (not floor) tiles, in areas that are not subject to frequent water contact (i.e. in a shower enclosure). What about laminate kitchen worktops please? For worktops we would instead recommend Rust-Oleum Worktop Transformation Kit. We don't but we do offer Rust-Oleum CombiColor Multi-Surface in RAL 5010 Gentian Blue in 750ml tins. Can the product be used on Hammerite paint? This should be OK, Rust-Oleum Universal All-Surface Paint (Brush) won’t react with the Hammerite and it will adhere quite well. Abrade the surface first with a fine grade of sandpaper, then apply the Universal. Will it go over a varnish? Yes, clean and abrade to provide a key before application. After preparation, check adhesion in a small area first before application. If i used this paint on a flat communal stone hall walls is their any fire regulation issues? Rust-Oleum Universal All-Surface Paint (Brush) has not been tested to any fire tests. If there is a requirement for the wall areas to be painted with a fire rated product then this product should not be used. You should check with the relevant authority managing the building before painting any communal areas and if a level of fire protection is required, advise our Technical Department and we can provide a suitable system. Could I use this to paint wooden stairs? What sort of finish does the paint have once dried please? No, Rust-Oleum Universal All-Surface Paint (Brush) is not a floor paint, it will not be durable and will mark easily. Rust-Oleum Chalky Finish Floor Paint is available in the Rust-Oleum range. Otherwise Blackfriar Professional Acrylic Floor Paint or Blackfriar Professional Polyurethane Floor Paint could be used. Rust-Oleum Chalky Finish Floor Paint is matt, Blackfriar Professional Acrylic Floor Paint is semi gloss and Blackfriar Professional Polyurethane Floor Paint is shinier than the acrylic which could make it a slip hazard on stairs. Is the All-Surface Paint suitable to use on the exterior of a caravan? Rust-Oleum Universal All-Surface Paint (Brush) could be used, 2 coats would be recommended. A longer lasting product would be the Zinsser AllCoat Exterior (Water Based). Surfaces must be clean and any organic growth treated with a suitable mould killer. Surface can be given a light abrade with a fine grade of sandpaper then either product applied. I have purchased All Surface paint in misty grey (satin finish) this is a bit to dark for my small cloakroom tiles. Can I purchase a sample size tin of white to add to this to lighten the misty grey paint? The paints will be compatible however it can be risky mixing colours with white, sometimes they won’t mix in completely and you get a sort of separation when you apply the paint. If you want to try it would be at your own risk and unfortunately we do not offer 'sample' sizes. Yes, however we would recommend sealing surfaces to be painted first with Zinsser Bulls Eye 1-2-3. I have used Rust-oleum all surface paint before with great results. I need to paint exterior window frames in dark grey to match new exterior doors, but dark grey (which I already have) is not dark enough. I thought about mixing with black to try to get a better match, but would prefer a satin finish, but dark grey does not seem to be available in satin. My question is, will satin paint mix OK with gloss to give a 'toned-down' gloss finish? Hope you can help. Thank you. For a simpler solution here we would recommend using instead Zinsser AllCoat Exterior Satin (Water Based). This is available in most RAL, BS and NCS colours and comes in the satin finish you require. Can I paint aluminium garden furniture with Universal all purpose spray paint? Rust-Oleum Universal All-Surface Paint (Brush) can go directly onto bare aluminium, if it has some kind of previous coating on it should still be OK to use. Normal preparation, i.e. clean, remove loose material, treat any mould etc. 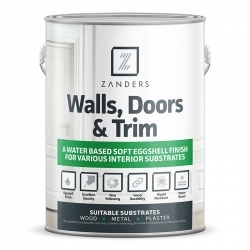 Is this paint suitable for painting upvc doors? Yes Rust-Oleum Universal All-Surface Paint (Brush) is suitable for most plastics and this would include uPVC. If they are weathered a good wash down will be suitable preparation, then apply 2 coats of Rust-Oleum Universal All-Surface Paint (Brush). 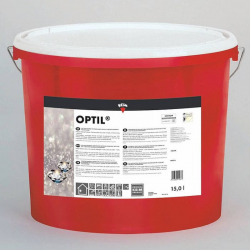 Rust-Oleum Universal All-Surface Paint (Brush) is suitable for masonry surfaces and therefore it will be OK for cement however we would suggest priming with Zinsser Bulls Eye 1-2-3 first to seal the surface. This will give Rust-Oleum Universal All-Surface Paint (Brush) better coverage and adhesion. Another option would be to use the Zinsser AllCoat Exterior Gloss. This could go straight onto the cement, 2 coats. Both systems will be frost proof and water resistant however the AllCoat would give a higher level of performance, we would expect it to last longer. Rust-Oleum Universal All-Surface Paint (Brush) CANNOT be used on floors, however Smartkote Safekote with Smartkote Protectakote Clear Primer Treatment may be suitable. Carry out adhesion tests before use to ascertain suitability. Idoes this paint conform with EN 71, toy safe? Rust-Oleum Universal All Surface Paint (Brush) has not been tested to Toy Safety Standards. Could this paint be used on finished cupboards/cabinets? Any need to sand or prime first? Assuming by finished you mean a melamine surface - Yes, Rust-Oleum Universal All Surface Paint (Brush) could be applied directly to clean melamine surfaces and will provide a reasonably durable finish. For a tougher coating, priming with Zinsser B-I-N then top coating with Zinsser Perma-White Interior (tinted to your colour of choice) would be a better option. I have a shower with a raised tray, the gap between the tray and floor is filled with a plastic panel. This panel has yellowed a little over time and its colour no longer matches the still very white shower tray. I can not get a replacement for the olastic panel and am now thinking of painting it. Would the "Rust-Oleum Universal All-Surface Paint (Brush)" in White Gloss or White Satin be a suitable product? We assume this panel is on the outside of the shower and will only get the odd splash of water. We would not recommend any of our products for the interior of a shower enclosure. Rust-Oleum Universal All-Surface Paint (Brush) white paint will yellow over time and therefore may not be suitable. Zinsser AllCoat Exterior Gloss or Satin (Water Based) could be used instead. These are both non yellowing coatings and can be applied directly to the clean prepared surface. Wash down to take off any soap residues, lightly abrade with a fine grade of sandpaper then apply 2 coats of either AllCoat product. Does this paint give good results on kitchen tiles and can it go next to the electric cooker? Rust-Oleum Universal All-Surface Paint (Brush) can be used on kitchen wall tiles. It will also be safe next to a cooker however any splashes of cooking fats and oils are likely to mark the coating. They should be wiped off immediately using a soft damp cloth. Do not use strong cleaning materials on the paint as they will damage the paint. Surfaces must be clean and free from kitchen grease etc. The Universal can then be applied directly to the tiles. Question: Hi. Can I use this on a pine floor? I want to paint over varnish and I want a sheen on the floor but the chalk paint is matt. Or is there a top coat that I can put on the chalk paint to make it glossy? Thanks, Noelle. Rust-Oleum Universal All-Surface Paint (Brush) CANNOT be used on floors, it is not durable enough and will cause issues with the floor. Blackfriar Professional Acrylic Floor Paint would be an option, it does have a sheen and is available in nearly all RAL, BS or NCS colours. Abrade the varnish surface with a fine grade of sandpaper then apply 2 coats of Blackfriar Professional Acrylic Floor Paint directly. It is not advisable to apply a clear varnish over Rust-Oleum Chalky Finish Floor Paint, as a varnish may not adhere. These products would not be recommended for use for this application and we do not have anything that would be. The paints will be compatible however it can be risky mixing colours with white, sometimes they won’t mix in completely and you get a sort of separation when you apply the paint. If you want to try it would be at your own risk. We have taken a look at the link but it doesn’t say what type of plastic the screens are made of. Assuming it is uPVC or similar the Universal Brush product may be OK to go straight on. It may be worth doing a test to see if it goes on OK.
Thinning it down to put a wash coat on may not be such a good idea, a thin layer is not going to last very long when exposed to the weather. You also ask how many coats should be applied, we would recommend 2 for best performance, this will obviously give a solid colour and not a wash effect. Question: I have applied Rustoleum All Surface paint Dark Grey Gloss paint using a small foam roller to some new laminate cupboard doors. I followed instructions and made sure the surfaces were clean and dry before painting. The surfaces have dried covered with small air bubbles. I'm not sure why this happened and how to remedy the situation. 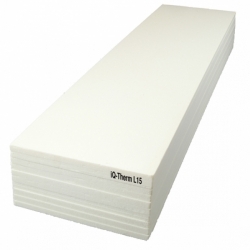 I have used foam rollers with satin paint on mdf in the past and have had excellent results. Please help. This will be due to a reaction between the foam roller and the paint. There are a number of factors which can cause this and several different options for reducing and eliminating them. A short pile mohair type roller may eliminate the small bubbles. If you see these bubbles when you are applying any paint you can lay off with a brush while the paint is still wet to eliminate them. A very small addition of white spirit to the paint to thin it down may also help when using a foam roller. The bubbles will need to be sanded back to remove them then reapply the product following the above guidance. Rust-Oleum Universal All-Surface Paint (Brush) could be used for both applications however you haven't said if there is a coating on either surface already. If there is a previous coating then the Universal can go straight on provided surfaces are clean, if bare then a primer would be recommended although not essential. By priming the surface you will get better coverage and performance in these 2 environments. Zinsser B-I-N for the kitchen and Zinsser Bulls Eye 1-2-3 for the MDF in the bathroom. Note: The Universal will yellow with age and a more suitable, non-yellowing product would be Zinsser Perma-White Interior. 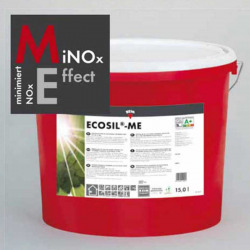 This product is suitable for use in bathrooms and kitchens however it is not available in gloss. 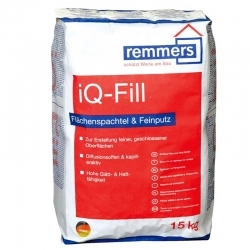 Question: Can this product be used on a uPVC door overhang? Yes Rust-Oleum Universal All-Surface Paint (Brush) is suitable for most plastics and this would include uPVC. If it is weathered a good wash down will be suitable preparation, then apply 2 coats of Rust-Oleum Universal All-Surface Paint (Brush). Question: Could I use this as a primer for other paints? No, you'd be better choosing a dedicated primer for your substrate. If you're unsure of what to use, speak to our Technical Department on 0113 2455450. Question: Is it possible to spray this product with my 'Wagner 565' spray kit, applying to laminate cupboards and countertop? No. Rust-Oleum Universal All-Surface Paint (Brush) would be suitable for the cupboard doors but not countertops. For countertops Rust-Oleum Worktop Transformation Kit must be used. Both products are designed to be applied by brush/roller and leave good finishes. Question: Can I use this to cover my shower base? I have tried recommended shower base paint with little effect. No this would not be suitable, the only product we would offer for this type of application would be Rust-Oleum Tub & Tile Refinishing Kit. At the time of writing this response we offer the following products that are certified as “Toy Safe”, subject to Toy Standard Testing: BS EN 71-3: 2013 + A1:2014, Migration of Certain Elements. Question: Is this paint heat resistant and can it be used to paint a wooden fire surround? Yes the Universal can be used for this application, it will take this level of heat but if you chose a light colour it will yellow with age quite quickly. A water based product like Zinsser Perma-White Interior would give a non yellowing finish. Question: I just used this paint on the linoneum floor and vinyl floor tiles. Have I used the wrong product? i.e. fire resistance / traction. If so what can I do to remedy this? Remove ? Apply another product directly over the top? It looked pretty good finish to me - but someone was complaining about it from the fire resistance angle..
Rust-Oleum Universal All-Surface Paint (Brush) is not for use on floors and offer no level of fire protection or slip resistance. We do not offer any floor coatings that can be used on linoleum or vinyl tiles so cannot offer an alternative. Question: Can I use Rust-Oleum Universal All-Surface Paint to paint my fridge? The best product for this application would be the Rust-Oleum Appliance Enamel which is available in White or Stainless Steel colours. Rust-Oleum Universal All-Surface Paint (Brush) will probably be OK but if you choose to use this instead of the Appliance Enamel we would recommend trying a test area first to see if it dries OK. Question: is this suitable for formica kitchen work surfaces? No, the only product we offer for formica worktops is the Rust-Oleum Worktop Transformation Kit available in Galaxy Black or Diamond White. Kitchen worktops are a very abrasive environment, specialist paints are required to withstand this sort of treatment. Question: Do I need to use a top coat or varnish to weatherproof painted items that will be outside? Answer: Rust-Oleum Universal All-Surface Paint is suitable for exterior use and does not require a protective top coat. An additional coat of the Universal paint will give extended durability due to the thicker paint layer applied. I used Rust-Oleum Universal All-Surface Paint (Brush) to paint wooden furniture, including the top of a coffee table. Do I need to finish these with varnish? You can use Rust-Oleum Clear Sealer (Brush) or Rust-Oleum Crystal Clear to seal, protect and enhance the items you've painted. Can Rust-Oleum Universal All-Surface Paint (Brush) be used on melamine furniture? Hi, can you use Rust-Oleum Universal All-Surface Paint (Brush) on a laminate worktop? No, although it would adhere to the laminate it would not be able to withstand worktop uses. 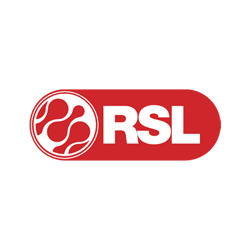 We recommend Rust-Oleum Worktop Transformation Kit. Is Rust-Oleum Universal All-Surface Paint (Brush) suitable for painting old tyres to be used as a seat? 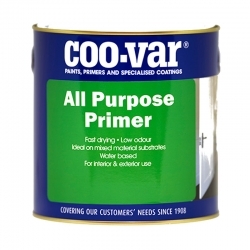 No, being solvent based it is likely to dissolve compounds in the rubber causing staining to come through the paint. The best solution would be to try priming with Zinsser Bulls Eye 1-2-3 then finish with Rust-Oleum Painters Touch (Brush). Can I use Rust-Oleum Universal All Surface Paint for an exterior porch and step? 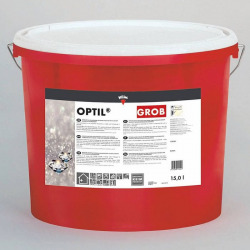 Rust-Oleum Universal All-Surface Paint can be used internally and externally so will be fine to use on your porch but it is not intended for floors where it will receive foot traffic so it isn't going to be suitable for your step. You can take a look at our floor paints and choose a suitable product, something like Blackfriar Anti-Slip Step Paint would be ideal. I want a paint for a plastic garden shed. Is Rust-Oleum Universal All Surface Paint suitable? Yes, Rust-Oleum Universal All Surface Paint would be ideal for the job. Simply clean down the plastic surface and lightly abrade with a fine grit sandpaper to remove any shine, then apply Rust-Oleum Universal All Surface Paint in the chosen colour.